If you plan to upgrade your equipment, wings or mounts on your character or just enjoy hunting for treasures, then our promotion will come in handy! Until December 12, 23:59 CET (02:59pm PST), you can join the Treasure Hunt by earning coins and exchanging them for excellent gifts. The more coins you collect, the more rewards you will receive! Please note that the data refreshes once every hour. Each opened Spirit Feather Box gets 4 coins. 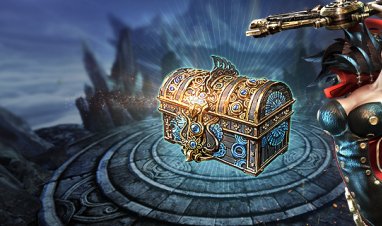 Each opened Precious Mount Box gets 2 coins. Each Large Sacred Object Treasure Map used gets 28 coins. Each Red Phlogiston used in refinement gets 3 coins. Each Azure Phlogiston used in refinement gets 9 coins. Each Red Ticket used gets 1 coin. Each Azure Ticket used gets 3 coins. As soon as you've collected the necessary amount of coins to receive your gift, it will be automatically sent to your web inventory. All rewards are bound. Does it matter how the items were purchased? No. 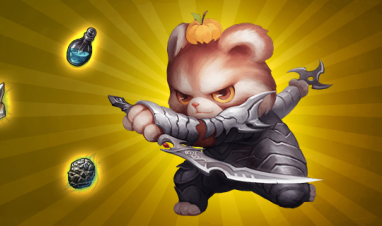 You earn coins for using objects or opening boxes during the event period. It does not matter where and when you purchased them. Can I get the same gift twice? No, each gift will only be sent once. There is no reward beyond 550 coins. Can I collect coins on different characters of my account? Yes. All coins that you have collected with any character on the account will be added up. You can follow the progress on the promotion page. Please note that the data refreshes once every hour. I have used several Azure Phlogistons at the same time to upgrade my equipment. Will I get coins for each of them? What should I do if I have fulfilled the conditions but the coins were not credited? Please contact our support team. They will be able to assist you. Don't forget to check your web inventory though! Are these gifts bound or can I transfer them to another player? All gifts are bound and cannot be transferred to another player.